I feel like getting out of town or traveling over my birthday generally helps to soften the blow of getting one year older. So earlier this month I flew down to Portland to spend my birthday with my family and friends. And while I was down there, I hit up a Sephora where I ended up walking away with all of the below goodies! 90% of my blush collection consists of baby pink shades, so I thought it was high time that I try something in the “berry” family. 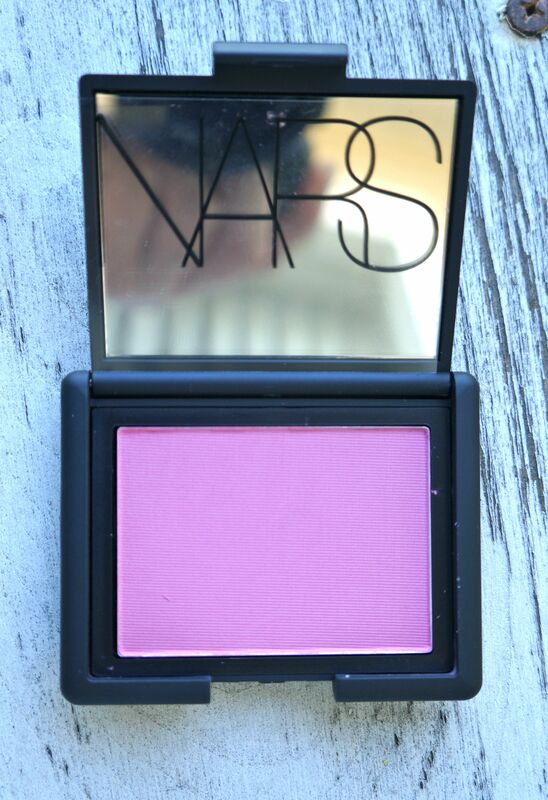 So I picked up Mata Hari by Nars; which is pretty much the only brand of blush that I use. I know that the picture above is making this blush look like a hot pink, but believe me when I say that this is the prettiest berry shade! So far I have been loving this shade and can’t wait to try out more looks with it during the Fall. So while I was packing to go down to Portland, I literally shattered my beloved Milani Brow Fix Kit that I had been purchased last time I was in Chicago. 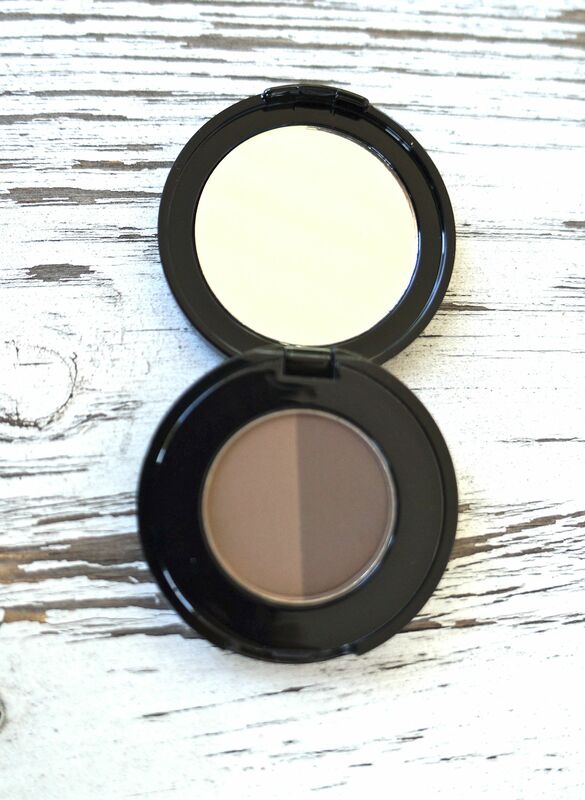 So I decided to pick up this Anastasia Brow Powder Duo in Dark Warm Brown and give it a go. I’ve only used it a handful of times, but so far it seems to do the trick. And lastly here (from Left to Right) we have a Nars Satin Lip Pencil in color Rikugien (Rose Pink), a Sephora Brow Filler Brush, another Nars Velvet Matte Lip Pencil in color Cruella (Scarlet Red), and a Sephora Long Lasting Pencil in color Infinite Beige. 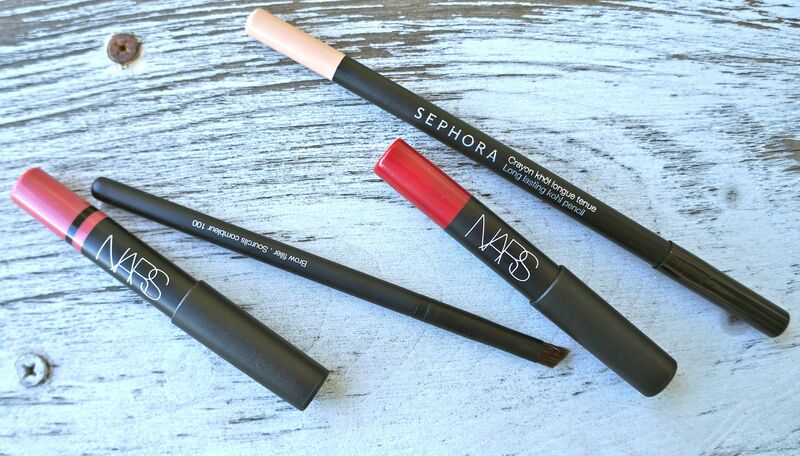 Both of the Nars Lip Pencils were my Birthday Gift from Sephora, the Brow Brush was something I just needed, and I got the Beige Eyeliner to line my bottom waterline as I was finding the white eyeliner I was using was a little stark for my liking. So all in all that was my Sephora Haul! I hope you all enjoyed it! Next Next post: A Whimsical Tale Of Wanderlust Blog Update!